LONDON (AP) — Britain’s foreign secretary on Saturday urged European Union leaders to “step back from the abyss” and seek a compromise over stalled Brexit negotiations. 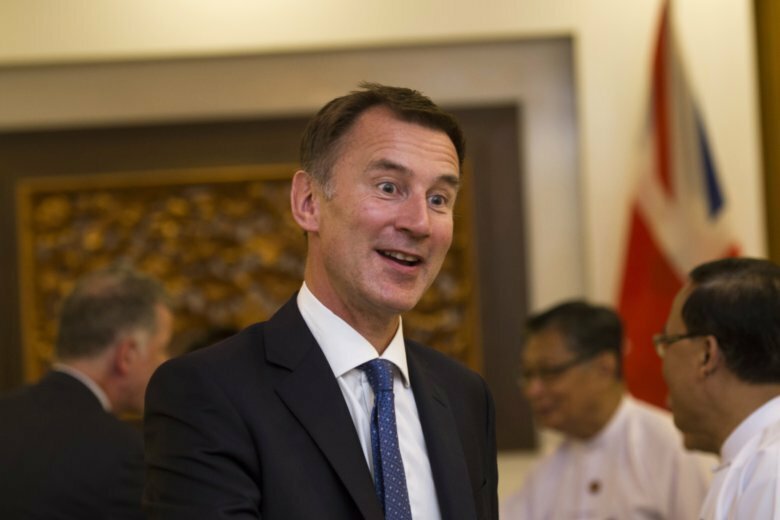 Jeremy Hunt told the BBC that the EU should work with Britain to try to find a way to make British Prime Minister Theresa May’s “sensible, concrete proposals actually work” in the divorce between Britain and the bloc. He spoke a day after May used a rare televised address to complain the EU was acting in bad faith by rejecting her proposed Brexit plan without offering an alternative. She said talks were at an “impasse” over future trade relations and a possible border between the Republic of Ireland, an EU-member, and Northern Ireland, which is part of the U.K.
A gathering of EU leaders in Salzburg on Thursday not only failed to make progress on the topic of Brexit but led to bitter recriminations from both sides. Since the failed summit, the usually reserved May has used unusually blunt language to complain that EU leaders are not taking her proposals seriously. EU Council President Donald Tusk used a satirical Instagram post showing him giving May some sweets with the caption “Sorry, no cherries” — a reference to the EU’s refusal to allow Britain to cherry-pick what aspects of EU membership it would like to keep after Brexit. The British foreign secretary said this approach, and comments by French President Emmanuel Macron characterizing the leaders of Britain’s Brexit campaign as “liars,” are counterproductive. “Insulting her on social media, getting to these standoffs where you are calling people liars and so on is not the way we are going to get a solution to this difficult situation,” Hunt said. The increasingly bitter stalemate has raised the prospects that Britain will leave the EU in March without a deal. The value of the British pound dropped Friday because of fears of the possible economic costs of a “no deal” Brexit scenario.